The team will also receive their country’s highest accolade – the Legion d’Honneur. 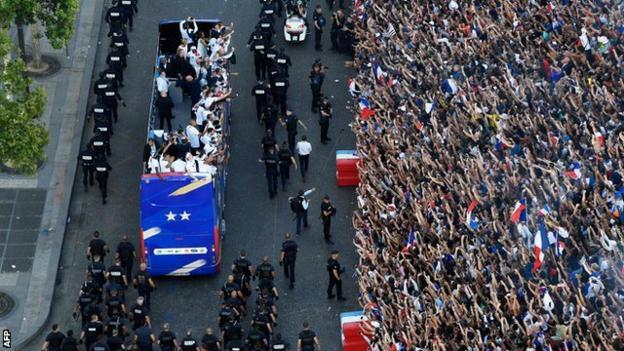 Fans partied across France overnight, but celebrations in some cities were marred by violence. Police fired tear gas as sporadic clashes broke out in Paris, Lyon, Strasbourg and Rouen. 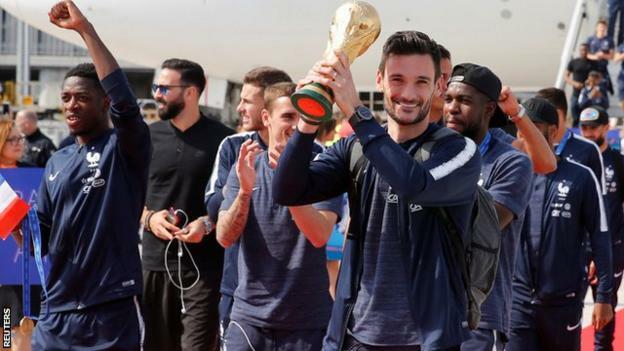 France first won the World Cup in 1998 – which they hosted – by beating Brazil in the final. 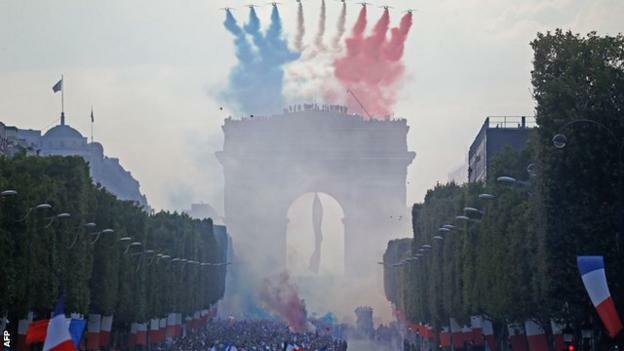 Similar celebrations took place 20 years ago on the Champs Elysees. 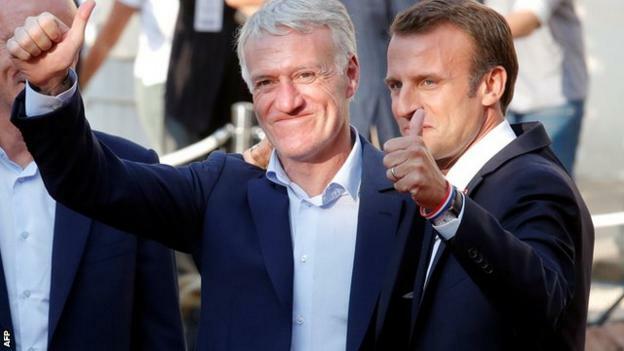 Didier Deschamps captained the team then, and 20 years on is manager. The 49-year-old is just the third man – after Brazil’s Mario Zagallo and Germany’s Franz Beckenbauer – to win the competition as a player and coach. 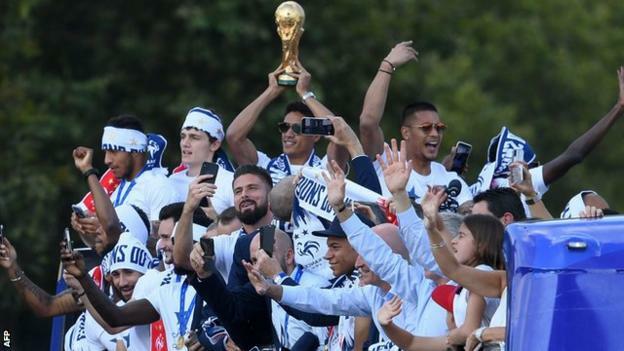 Paris St-Germain forward Kylian Mbappe scored his side’s fourth goal in Moscow, and won the tournament’s best young player award. He is only the second teenager to score in a World Cup final after Pele in 1958. Many predict he will go on to win the Ballon d’Or – following in the footsteps of 1998 hero Zinedine Zidane. ← Cristiano Ronaldo turns myth to reality in Turin with his arrival….